Rohto-Mentholatum Research Laboratories (RMRL) is an affiliate of The Mentholatum Company whose parent company is Rohto Pharmaceuticals, Ltd. of Osaka, Japan. Rohto Pharmaceuticals Ltd. is a leader of innovative technologies for eye care and skin care products. 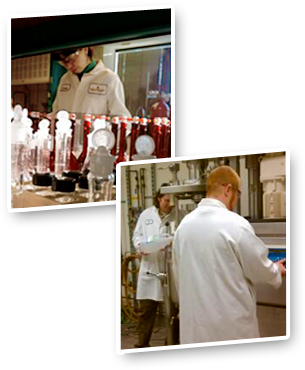 The RMRL facility, strategically located in eastern Montgomery County, PA, conducts new product research and development for US and global company affiliates out of our state of the art laboratories. Products developed at RMRL are manufactured and marketed by The Mentholatum Company and its worldwide affiliates. The Mentholatum Company has a strong heritage in the US cold care market and markets products in the anti-acne, topical analgesic, eye care and lip care categories. RMRL is responsible for new product development, including analytical method development, and clinical/claims substantiation for OTC topical drug and cosmeceutical products. RMRL develops and globalizes innovative products based on the creative application of science, technology and open communication.